We help hundreds of thousands of individuals every month stay safe, healthy, and happy while traveling! Our writing, research, TV and radio interviews have been featured all over the Internet and all over the world including on: Bloomberg, The Boston Globe, The Times UK, USA Today, Business Insider, CBC Canada, The Independent, Psychology Today, CTV News at Six, ABC Australia, The Daily Telegraph, Global News Canada, Stern Germany, RTS Switzerland, InfoMoney Brazil and Observer to name a few. 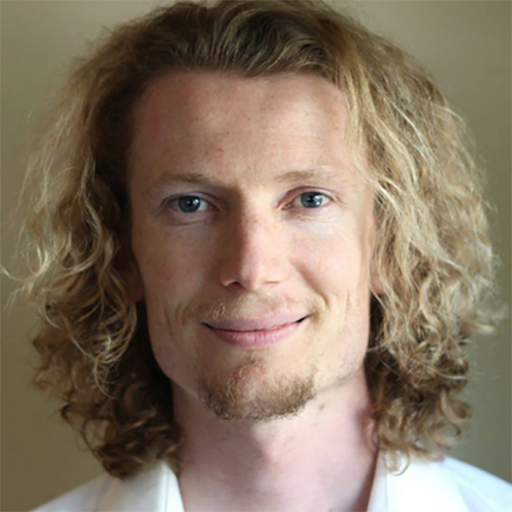 My name is Asher Fergusson and I’m originally from Manly Beach in Sydney, Australia but I’ve lived abroad since 2004 when I started pursuing my Bachelor’s and MBA degree from Maharishi University in the USA. In 2008 I took my first 3-month trip to India. It was a truly life-changing and magical journey, BUT I got worked over. I was extremely sick with Delhi Belly, spent almost 2 weeks in bed, and got scammed numerous times as I was simply unaware of the extensive differences between Western and Indian cultures. I’ve subsequently traveled to India every year since and I’ve now lived there for a total of 1.5 years over the course 7 trips. In my first couple of trips I was lucky to travel with people who had lived there for over 10 years, and I “learned the ropes”. When I got back home after my 4th India trip I realized how important it is for my fellow travelers to be well-educated to avoid getting sick or falling for the countless scams in India. And so, this blog was born! My site has now had over 4 Million unique visitors since its launch in 2009. After following my own India travel tips I’ve never gotten sick or scammed since. I also get countless emails from people thanking me for the advice that really helped them. This has been so fulfilling for me. 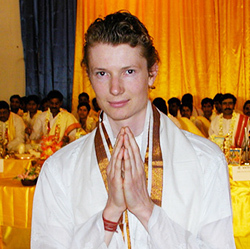 Here is a picture of me attending a Vedic ceremony during my first trip to India in 2008 (I was 22). 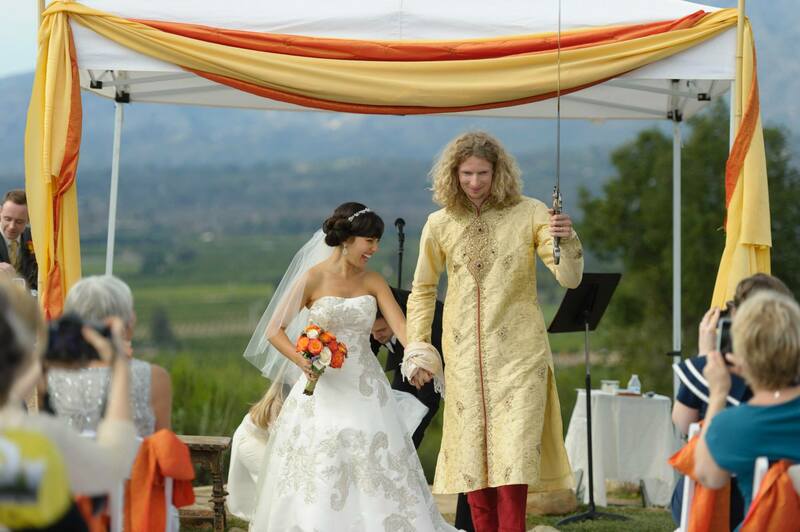 Here is a picture from our wedding in Ojai, CA in January 2015. Yes, that is a sword in my hand! In 2013 I reconnected with Lyric Benson (we first met in 2005 at college), fell in love, and we got hitched in 2015. Together we have lived and visited over 20 countries! Lyric now goes by Lyric Fergusson. Through our travels we realized that there is a real need to help people travel smarter, safer, and more informed about what to bring and what NOT to bring – not just to India, but to various destinations all over the world. We decided to update the blog to include all 7 continents with the goal of bringing you tips on how to pack and how to stay safe. We love using the blog as a forum to share the best restaurants we visit, delicious vegetarian and paleo recipes, and general health and lifestyle tips. Lyric also likes to share tips about being a mom and recently wrote a great article about the best baby travel gear. 1) He has lived in all of these different places (in this order)! And here are some other places he’s visited for short trips: Italy, France, Greece, Switzerland, Austria, Puerto Rico, Sint Maarten, Aruba, Curaçao, Bonaire, Mexico, Belize and Honduras. 2) He has been surfing since age 7, loves riding 20ft waves on Maui, and his favorite beach is called “golf course”. 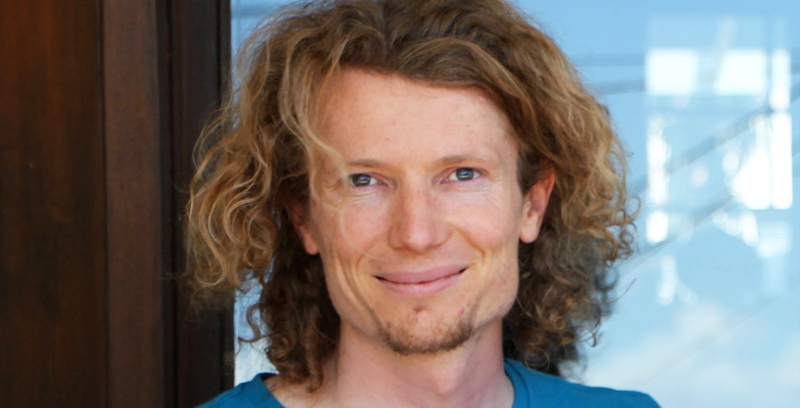 3) He spent three years on “Purusha” as a yogi-monk meditating 6 – 8 hours per day. 4) He loves camping in the outdoors. In 1999 he crossed the Simpson Desert (1,000 sand dunes in the Australian Outback) with his family on a month-long 4WD camping adventure. 6) He was the valedictorian of both his high school and university graduating classes. 7) He can solve a Rubik’s cube in under 3 minutes and loves numbers and graphs (nerd alert!). 8) He has 3 brothers: one in London, UK, one in Whistler, Canada and one in Sydney, Australia. He’s only seen them a handful of times since leaving Australia in 2004. 1) She has lived more than a year in all these places (in this order)! 2) She gave birth to her son Kingsley (2016) and daughter Aurora (2018), medication-free at home in the bedroom, in a giant tub, both under 3 hours. 4) She spent 8 years as a celibate yogi-monk meditating 8 – 10 hours a day. Yes, she meditates more than Asher does. 5) She has circumambulated Mt. Kailash in Tibet. 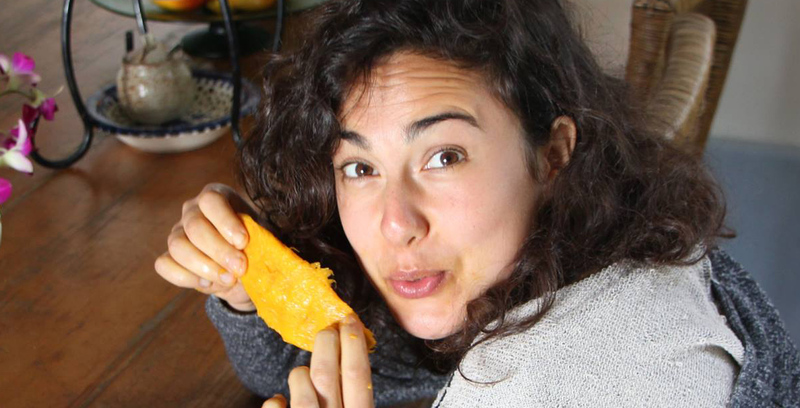 8) She is extremely allergic to grains and has been on a “high prana paleo” since she was 26. 7) Oh yeah, she loves any TV shows with dragons & swords. E.g GoT or Vikings.